Home Nervous about hiring tradespeople? Well you aren’t the only one, studies have recently presented that 87 per cent of UK homeowners fear hiring tradespeople because they aren’t confident that the job will fulfil there requirements. According to the study, finding good tradespeople who they know for certain will complete work to a high standard, is a concern for 59% of homeowners. Some of the reasons is due to price or the quality of the end product. Gary Warby, Director Premier Windows, said: “This study shows that choosing the right tradespeople is a really hard decision and there are lots of pitfalls to negotiate. “Window and door replacement companies don’t always enjoy the best reputation, so finding a reliable one can be tricky. “We pride ourselves on the service that we offer and if you are local, we’d always ask that you give us a try but it also pays to shop around. 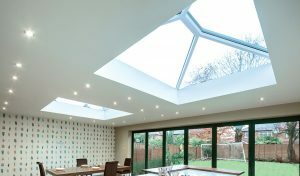 “We’d encourage anyone buying new windows and doors to always get several quotes, so you can make a sensible comparison between prices and to make sure that you’re comparing like-with- like. The poll also found that trusting tradespeople inside their home was an issue for 33% of respondents. Of those surveyed, 19% were worried about the work not being completed on time. “Window or door installation shouldn’t be a stressful experience. All of our fitting teams are fully checked before joining us, while we all know that we’re not just there to install windows to someone’s house, but to their home.